Pissarro Arts & Steam Creative Center is a brand new Chinses art education institution which provides art classes to children and teenagers. The client wanted to apply the child like painting style in VI. After research, I consider the case from two perspective, the meaning of art education and the feature of audience. 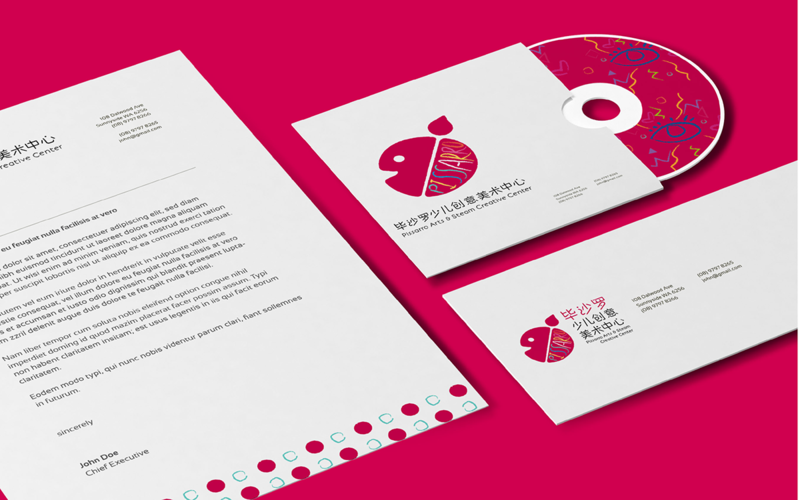 The visual identity of Pissarro Arts & Steam Creative Center should show the concepts to patents and students: art education can bring people happiness through drawing the beautiful world. Students from different ages have their won preference about color, so I designed two color system in order to mach different occasions.